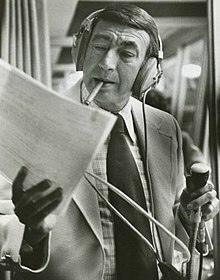 He’s one of the reasons Las Vegas is the “Boxing Capital of the World!” This week, we look back at sports-broadcasting legend Howard Cosell. Plus, ever had sushi burritos? They’re taking the city (and country) by storm! Chef Ken Aoki of Jaburritos Sushi Burritos – LINQ tells us all about them. And finally, the always-informative Scott Roeben of Vital Vegas talks about a new tavern with a very old and famous name: The Mint LV! It’s Vegas Never Sleeps with Steven Maggi, sponsored by The Orleans Hotel and Casino – Las Vegas and heard coast-to-coast on BizTalkRadio Network.